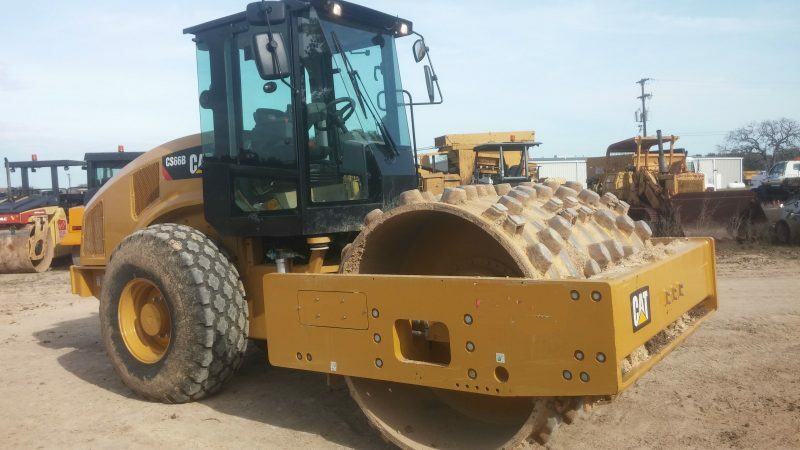 2013 Cat CS66B Soil Compactor featuring 84 in. pad-foot roller. Vibratory. Enclosed cab with A.C and Heat.